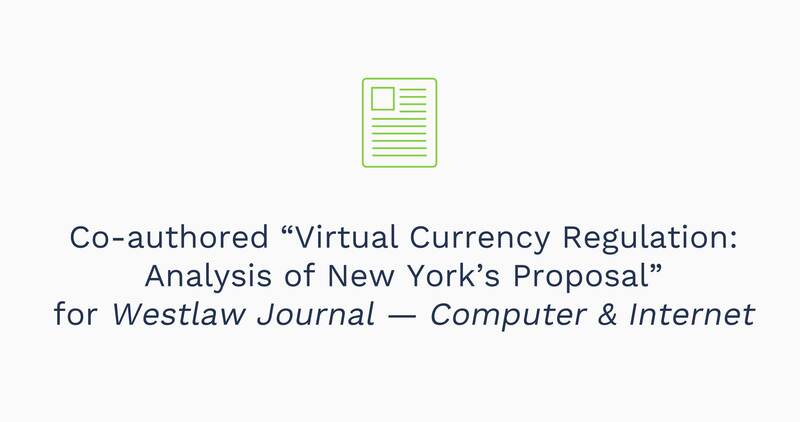 Kara A. Kuchar concentrates her practice on the regulation of financial services providers, and specifically, the regulation of money services businesses, payment processors, virtual currency companies and fintech companies. Kara represents and advises leading money transmitters, payment processors and private equity firms in transactional and regulatory matters associated with payments products and services, including remittance transfers, prepaid access, and internet- and mobile-based payment products and services. She has advised a number of non-bank financial service providers regarding compliance with Consumer Financial Protection Bureau regulations and guidance, including the establishment and enhancement of compliance management systems, implementing remittance rule programs, and strengthening policies and procedures to prohibit unfair, deceptive, or abusive acts or practices. She recently served as regulatory counsel to Small World Financial Services Group Ltd., a leading international omni-channel payment service provider, and Equistone Partners, a private equity fund, in connection with Equistone’s controlling investment in Small World and its U.S. licensed money transmitter, Choice Money Transfer Inc.; Securus Technologies Inc. and Platinum Equity, a private equity fund, in connection with its acquisition of Securus and its U.S. licensed money transmitter, JPay Inc., a market-leading technology company that introduced electronic payments and other services to the corrections space; Trans-Fast Remittance LLC, a leading global payments company, and Apis Growth Fund I, a private equity fund, in connection with the fund’s investment of primary capital into the company; and H.I.G. Capital, a private equity fund, in connection with its acquisition of the Keefe Group and its licensed money transmitter, Keefe Commissary Network LLC. She also acted as regulatory counsel to Fleetcor Technologies Inc., a leading global provider of commercial payment solutions, and Cambridge Global Payments, a leading B2B international payments provider, in connection with Fleetcor’s acquisition of Cambridge; Travelex Group with its acquisition by a consortium led by the owner of UAE Exchange, a leading global money transfer and foreign exchange provider, and Centurion Investments, an Abu Dhabi-based private equity firm; and Western Union in its acquisitions of Custom House and Travelex Global Business Payments. Kara is also an author and public speaker on a variety of topics of interest to the payments and fintech industry. She spoke on “Ensuring Compliance with the Increasingly Aggressive State Regulatory and Enforcement Framework Governing Emerging Payment Systems” at the ACI 12th National Forum on Emerging Payment Systems and on “Prepaid Access” at the Money Transmitter Regulators Association Annual Conference & Examiners’ School. Her recent publications include co-authoring “OCC Issues Draft Guidance and Requirements for Fintech Charter Applications” in Bloomberg BNA – Banking Report.